It's back to the daily grind, isn't it? More work, work chores, more adulting. And that's fine. Most of us are very blessed with the jobs we have- I know I am! I love baby E and getting to be a part of her life. I love her sweet smile and silly laugh. But those things I love don't make Mondays any less challenging. It's just kind of part of life, ya know? Most of the time, we spend our weekends doing the fun things we can't do during the week. It's enjoyable, but we never really catch up on rest. So when Monday rolls around, we find ourselves struggling to wake up, to get motivated, and to be in a good mood. After drinking copious amounts of coffee, I usually can manage being human again, but that's about the extent of it. I'd like to encourage you though, friends, that it's ok to slow down. Yes, you need to do a good job at your workplace, and not neglect your family, but that doesn't mean you have to do it all. You don't have to be all things to all people. You don't have to make everything perfect before you let your head hit the pillow at night. Related post: Is Your Stress Your Fault? Don't be afraid to ask for help; ask your family for help around the house. Delegate where you can at work. Your loved ones probably don't expect you to do it all. I think we often put that expectation on ourselves and then feel like everyone else has that expectation too. But chances are, you're the only one who feels like that. So ask for help. There's no shame in it at all. Have a Little "Me Time"
Take a few minutes for yourself each day, even if you have to shift your schedule around to make it happen. When we don't take care of ourselves mentally and physically, we burn out and that doesn't help anyone. It doesn't help you, it doesn't help those who have to deal with you all day, and it doesn't help your job performance either. So take care of yourself this week. Friends, decide today that you won't expect perfection, and you will give yourself grace. The only perfect one out there is Jesus, and you aren't Him, yo comprendo? And He gives us grace, so shouldn't we give ourselves a little grace too? Sure, don't slack (because that's not cool bro! ), but don't try to do all the things. Trust me, you can't keep that up for long anyway. Like what you've read? 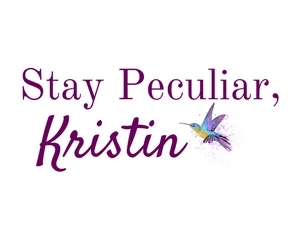 Why not sign up for The Peculiar Treasure Newsletter!? 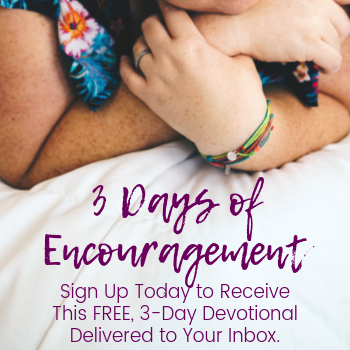 You'll receive a weekly newsletter, along with my FREE, 3-day devotional series! 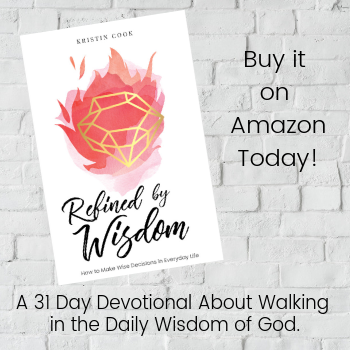 Click here to subscribe to my newsletter and get your free devotional! This is so true. You can't do it all...and that is okay!!! Exactly! Thank you for stopping by, Taylor! I am so glad it was helpful! Give yourself some grace! Oh, so true! The phrase "savoring the sabbath" often comes to mind. I'm not always good at resting on one of my weekend days, but I've been making a more concerted effort to deliberately recharge my batteries. Because, yes, Monday morning comes bright and early! That's a good phrase, Julie! I struggle to "Savor the Sabbath" too, but it's very important. I don't necessarily struggle to observe it physically, but I often do mentally and emotionally. Ah I loveee this! So true- I always get frustrated with myself that I just don't get as much done as I expect of myself in a day- but then I definitely expect WAY too much! We need to hear more of this and see less instagram feeds where it looks like women are doing it all and having it all together! Yeah! I totally feel your pain on that! I put a lot on my to-do list each day. Some days, I SHOULD be able to get it done and just don't, but some days I just have to give myself grace and realize I was trying to do too much. This is so true. We don't need to 'do it all'--we definitely don't need to do it all by ourselves, or every single day. Balance is needed. We weren't made to live completely independently--it's a good practice in humility to ask for help when it's needed. Exactly! We are capable of great things, but we were also created to need help for some of those great things. haha! I am glad you can relate! 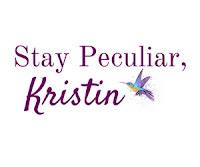 I love this sweet reminder, Kristin! Thank you for writing this! I definitely struggle even with my days off to find the willingness to rest and slow down. I always feel like I have to keep going to stay on top of it all - but the stress of it is always so confusing. Thank you for speaking life into that stress! 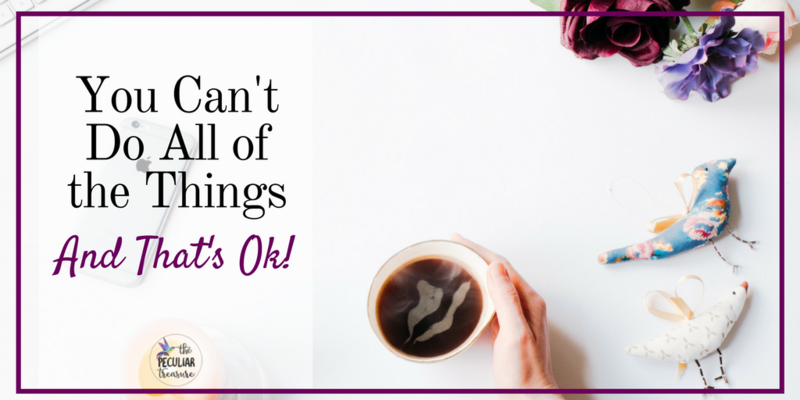 "I can't do all things - but that is okay." 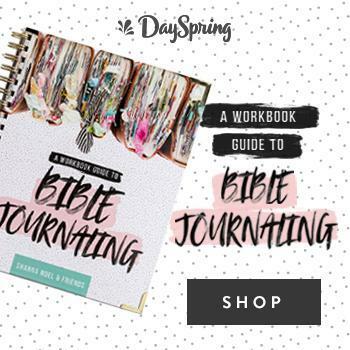 Your blog is always such a beautiful place of life! Thank you! YOU are always such a beautiful person to hear from. You leave such beautiful, heartfelt comments that remind me WHY I do what I do! Thank you, sweet friend! I totally agree. I can't do it all and I'm so glad that I don't have to. I so needed to hear this today! Each day I try something a little different to try to get the best balance I can between family and blog. Some days it seems as though I will never find the right balance but I feel like I need to keep trying. Today I had my "me" time by going to the gym and that makes a huge difference. I find that when I don't have those "me" times that day is particularly tough. Thank you for writing this, I really needed this! I'm so glad that this encouraged you! Please make sure you are giving yourself grace. You are human. 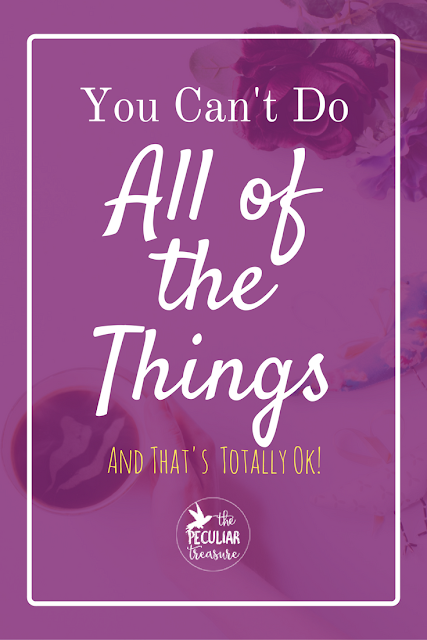 You are never going to be able to do it all and that's okay! Even Jesus, who actually could have done it all, chose to make time for rest. I'm glad it encouraged you, Naomi!